Anerley is perfectly placed to visit great places in nearby Crystal Palace, Beckenham, Bromley and Croydon. With the festive holidays coming up, we have taken a look at some fantastic places to visit with friends and family. If you enjoy great food and entertainment, Bridge House is the perfect place. Visit on a Sunday and be treated to one of their roast dinners with all the trimmings. If you enjoy a quiz, visit them on a Thursday for their weekly Quiz Night from 8pm. Music fans can enjoy regular live music including open mic nights. If this wasn’t enough, Bridge House https://www.bhtheatre.com/ also has its own theatre and hosts regular productions and comedy nights. Located by Crystal Palace Park in nearby Penge, AAA’s Anerley minicabs can ensure you get home safely after an enjoyable time at Bridge House. 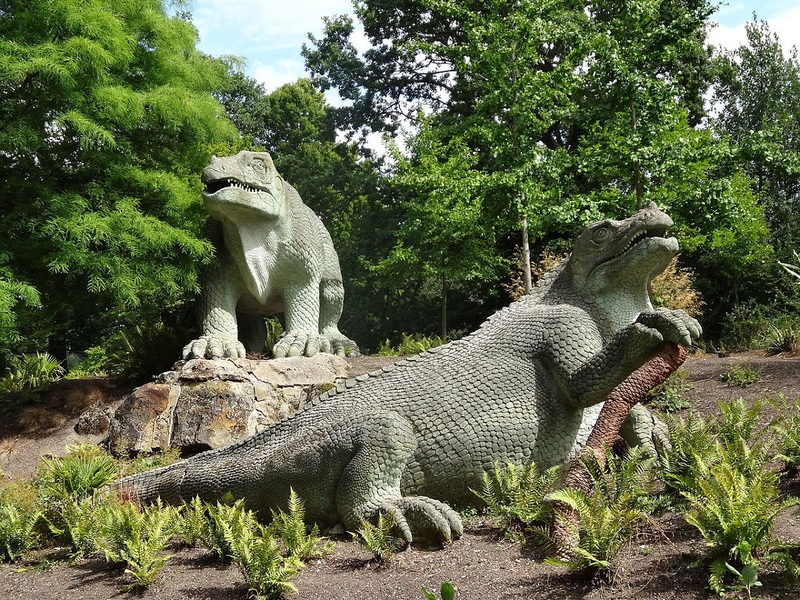 Located in Crystal Palace Park, the dinosaurs’ section is free to visit and is open during the park’s opening hours. They have been listed as Grade 1 monuments which are reserved for sites of exceptional interest. There are 30 enormous concrete dinosaurs that are dotted around the park’s lakes. If you are planning to visit over the Christmas holidays, its advisable to wrap up warm as the statues are all outside. Our Anerley minicabs can pick you up when needed and drop you off right outside the park. Are you looking for a way to burn off some of your kid’s energy? There’s no better way than taking them to Crystal Palace National Sports Centre. There are plenty of activities available for both adults and children, including 4 swimming pools, a gym and tennis and squash courts. Mt. Palace can also be found in the newly refurbished climbing centre at the sports centre. Crystal Palace Park is not the only nearby park for Anerley residents. South Norwood Country Park is an amazing nature reserve with 125 acres of wetland, lakes and meadows. It is the perfect place for nature lovers to relax after a busy year with a variety of plants and animals calling the park home. If you are looking to get the children out of the house over the holiday, there is also a new children’s playground in the park. Book your Anerley minicabs with AAA Minicabs over the festive period and enjoy all the great places without the worry of having to look for parking spaces or not having a festive drink.